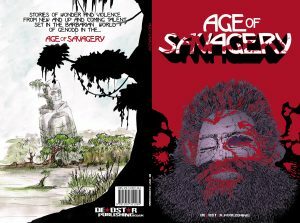 “I want to make a comic that’s a cross between Lord of the Rings and Mad Max.” That’s how David Powell originally pitched Age of Savagery to us. He’d been working on the fourth issue of his post-apocalyptic robot adventure comic New Wasteland Fairy Tales for a while and progress had stalled because he had too many ideas but they didn’t fit the storyline he’d already established. His solution was simple: start a new project. 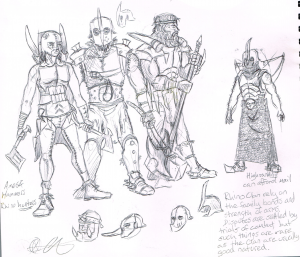 It was March 2017 and David had been doodling in his sketchbook drawing fantasy barbarians, beasts and gigantic monuments instead of rampaging robots and gladiator battles. For a long time player of Warhammer and War Machine, fascinated by the close-up gritty skirmish games that revolved around characterful stories and explosive escapades, a fantasy world made sense. It was the break he needed that would clear his palette and allow him to return to New Wasteland Fairy Tales with a new focus. We sat down with him and discussed the world he was designing. Looking over the concept art he’d produced we tried to work out what Deadstar Publishing could bring to the table to help him. He had a solid design for the world, and one that we wanted to see brought to life but producing a graphic novel on his own was a daunting task. Working alone, he could expect to spend a year or two on it at least. Or longer. At that point, the task would be far more than a diversion. Around that time, we had been considering reviving our Rising Stars compendium. Back in 2010 we released it as our first graphic novel and it started the careers of several creators (including David) and we’d always called it Volume 1 with the intention of producing a second and third volume etc. After a lot of back and fore we agreed that it would be impractical for David to complete a book based in Genodd on his own… but the concept lent itself well to a shared universe populated by many creators. So, we reached out. We produced a submissions document and from that solicited stories set in David’s new world. Twenty two creators came together to share their stories set in David’s world and we launched the book in May 2018. To date it has been one of our most popular graphic novels. This is the final front and back cover to the book. 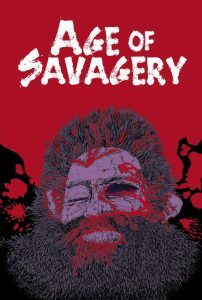 Ten months on, we’ve sold most of the first print run of Age of Savagery. We’ve had readers come back and tell us that they enjoyed the representation of a variety of characters in the stories, that they loved the art, and even a few people telling us how it had been useful to them as a sourcebook for role playing games. We’ve also had creators messaging us to ask if they could do more with their characters as they’d had more ideas for stories since the book was published. 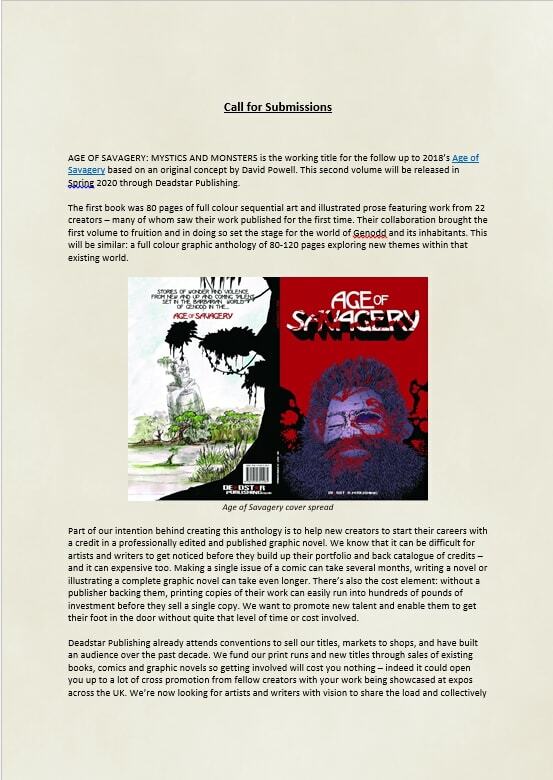 In the last year, David has been working on New Wasteland Fairy Tales again (we’ll have a blog on that sometime in the future) but also feels drawn to return to Genodd so we’re now opening a submission call for a second volume. The first volume really established the world, setting up the clans living in Genodd and their views on the world. It also showed off the prevalence and significance of the Monuments. For volume 2, which we’ve called Mystics and Monsters, we want to look deeper. In this volume we want to focus on secret societies and mythical beasts. Who are the powers at work behind the scenes? What mysteries do they protect? Will the creature that stalks the woods return or have we driven it away? What was it in the first place? If you’ve got ideas from that and you want to learn more download the submissions guidelines. We’re looking for short comics, prose stories and spot illustrations so all types of talent are needed. You can find the submissions guidelines here. 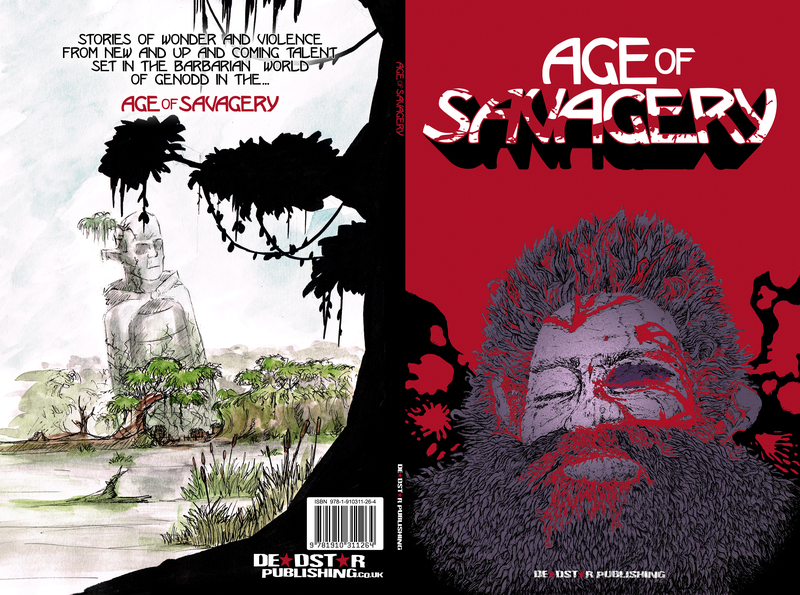 And you can email ageofsavagery@deadstarpublishing.co.uk if you’ve got any questions about the project. 2018 was possibly the busiest year we’ve ever had – we released several new graphic novels, new books, and new comic series’ as well as publishing new instalments for some of our on-going titles. 2019 looks to be equally hectic for us. Below is a list of the shows we’re at, and the ones we’re investigating attending. As the year progresses this might change slightly so keep an eye on it to see when we’re coming to a town near you! 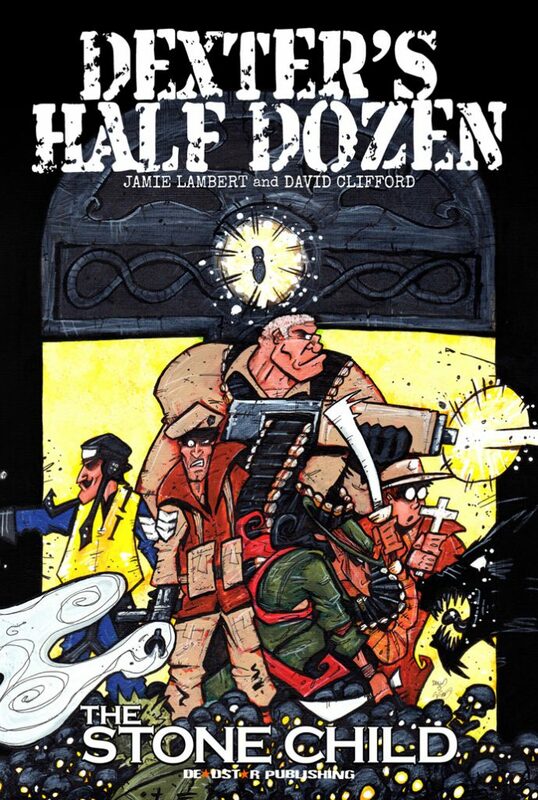 In 2008, a full two years before Deadstar Publishing was founded, two creators plucked up the courage to start putting out their own comic that was half-way between the A Team and Hellboy. That comic was Dexter’s Half Dozen – and the first storyline released was that of The Stone Child. Fast forward to now, David Clifford and Jamie Lambert have completed ten issues – nine in main continuity and a bumper length one shot tenth-anniversary special. The next issue is underway and we’ll give you more information about that one when it comes closer to release. 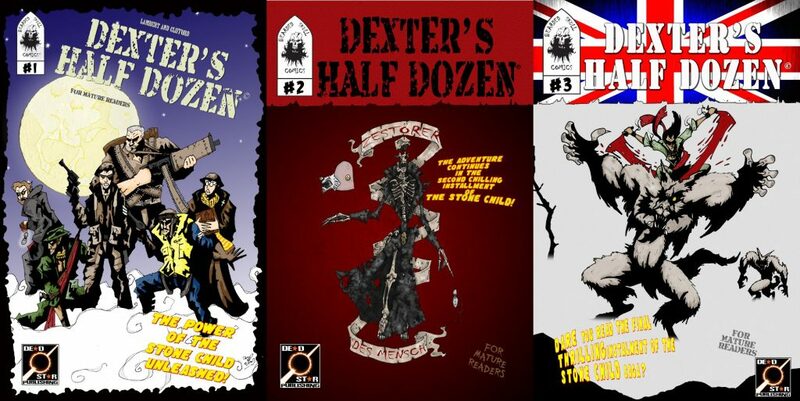 Ever since we started publishing Dexter’s Half Dozen we’ve wanted to offer The Stone Child as a combined edition but life has a funny way of interfering with plans. Just about everything that could go wrong has gone wrong – we blew up a computer, Jamie and David blew up a computer, somehow all the original art files became corrupted… for a while it looked like things were never going to come together! Why is this edition of Dexter’s Half Dozen so important to us? 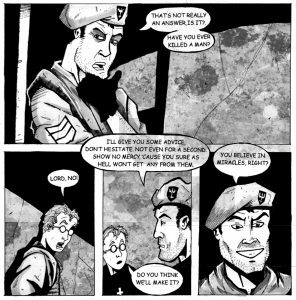 Not long after we began publishing Dexter’s Half Dozen we sat down for a chat with David and Jamie and discussed some of the strengths and weaknesses of the comic. We love the storyline – it’s exceedingly well written and the team behind it have tried to keep it as historically accurate as possible (while accounting for demons, liches, zombies etc!) right down to the reference material of tanks and weapons used. Where it fell down in the first few issues though was David’s lack of practice with the medium so far. By the time they reached issue #5 David had settled into a style that suited the story perfectly… but the first few issues lacked… something. They agreed. And they wanted to improve the comic so David went (literally) back to the drawing board to add shading and texture to every page, bringing the first three issues up to the same fantastic standard as the later issues. In some cases he redrew the art from scratch to make use of his greater experience of sequential storytelling at that point. This would all be great… and if things had gone to plan we’d have released this collected edition in 2014 or 2015. As you have already read though, things didn’t go to plan. 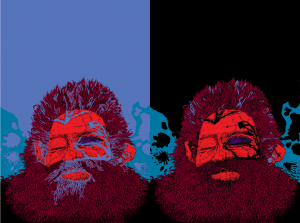 We don’t know when it happened, and we’ll never know why it happened but at some point all of the revamped artwork files became corrupted. This was discovered after David and Jamie blew up their computer and they tried reverting to backups. Every page was affected and it seemed for a long time like the idea of releasing a deluxe edition of Dexter’s Half Dozen: The Stone Child was dead in the water. That was until Danny stepped in. 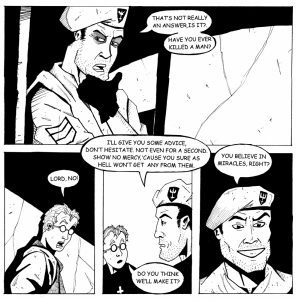 We had just launched Dolphin Squad II: A Death in the Pod, Danny’s second graphic novel, and David had a bonus story in there. When the two of them were discussing their respective works, Danny offered to take a look at the files to see if there was anything he could do to repair them. And there was! Hi, this is Danny. 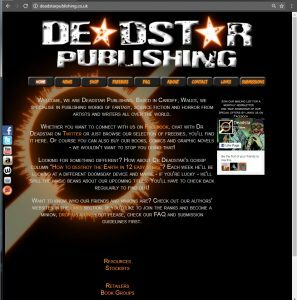 I’ve been Deadstar’s Art Director since 2010 and originally I was asked to step in to re-letter the series to make it easier to read. I’ve ended up adding a lot more than that though. We decided to re-letter the series after it was rejected by Comixology due to non-standard lettering. The original edition artwork. 2008. The image above shows original black and white artwork from issue #1. At the time the Dexter’s team had limited experience creating comics using computers so the lettering was done the old fashioned way. The script was printed, cut out and glued to the original artwork pages. This lead to some of the lettering looking a little rough in places and hard to make any changes if mistakes were noticed in the future. The updated artwork (corrupted). 2014. 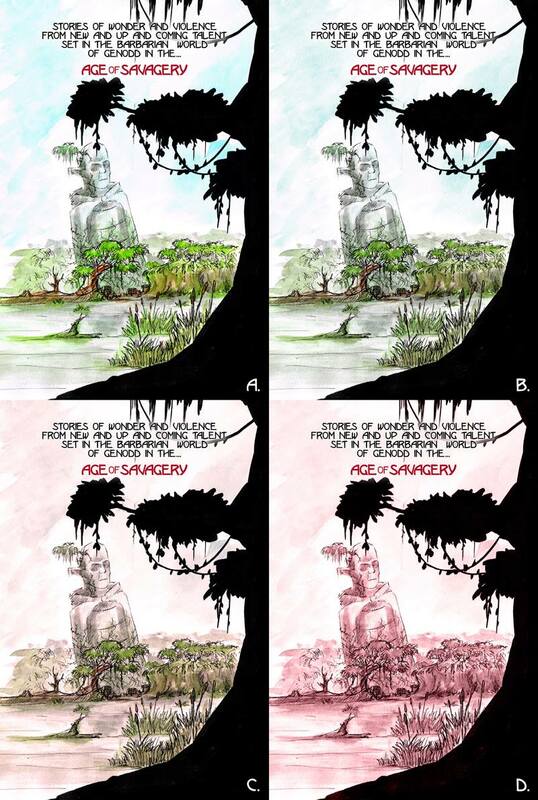 By issue #5 of the original Dexter’s Half Dozen run it was decided that the artwork in future issues should be fully rendered in greyscale rather than the black and white line work seen in the first four issues. Artist, David Clifford went back to the original inked pages and, using a combination of traditional media and computer, fully rendered the first 4 issues and even redid a few pages from scratch. The characters and foreground elements were painted by hand with background textures and shading done on computer. The process took many months but, just has the project was nearing completion, David’s computer crashed and all the work was lost! The files were eventually recovered from a back up but unfortunately they were corrupted. Lines appeared across much of the artwork and background textures were missing so much data they appeared entirely wrong if they loaded at all. The plans for the collected editions were put on hold. Updated artwork (slightly less corrupted). 2018. As I was already looking at the original 2008 files with a view to re-lettering them I asked David for access to the 2014 files to see if there was anything I could do. I was expecting to have to completely recreate David’s work by greyscale rendering each page from scratch – but after some experimenting I found that by saving the images as a PDF document before opening them in Photoshop the corrupted backgrounds could be fixed. The lines still remained but they could be repaired with a relatively simple but time consuming process. The image above is the result of that process. Final TPB artwork and lettering. 2018. 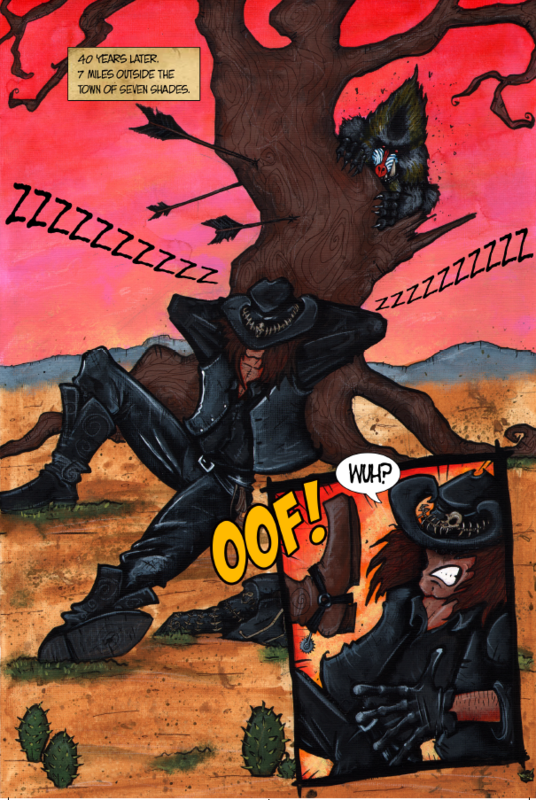 Whilst repairing the corrupted artwork I also finished the background rendering on several pages that weren’t completed at the time the files were backed up. I was able to put my knowledge and experience to good use with several techniques to duplicate the same style and make my pages look as close as possible to David’s. Along with the artwork I re-lettered the entire collected edition using an updated script from writer, Jaime Lambert. Now that you know the trouble we’ve gone to in getting Dexter’s Half Dozen: The Stone Child ready for release in its deluxe collected edition, it’s time for the cover reveal. As well as the complete story of The Stone Child, this edition also contains original sketches and concept art, the first ashcan used to promote the series, a pin up by Alex Ronald and will feature a foreword by Barry Nugent, Editor-in-Chief at Geek Syndicate. In total, Dexter’s Half Dozen: The Stone Child is 100 pages long and will be released at the True Believer’s Comic Festival in Cheltenham on February 2nd 2019. You can pre-order it now by visiting our store or by asking your local comic store to order it for you. 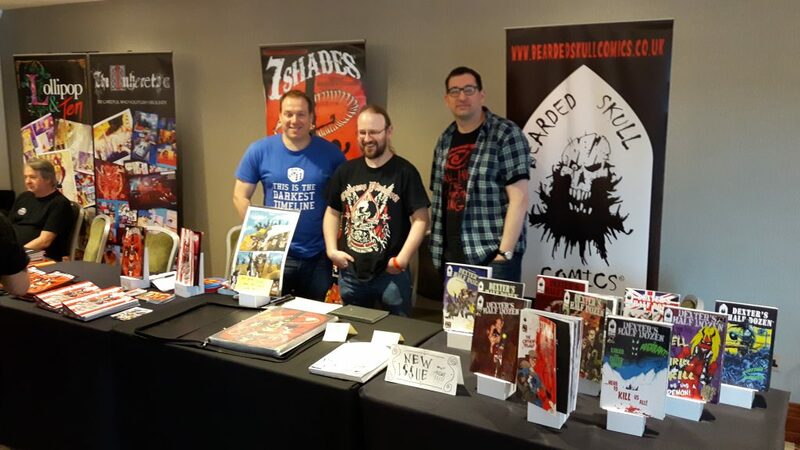 Last Saturday we attended the Cardiff Independent Comics Expo and had the pleasure of being joined by the creative team behind 7 Shades and Dexter’s Half Dozen. To the left is Peter Rogers, author of the Eagle-nominated anthology series Eleventh Hour as well as many other things. In the middle is David Clifford, artist behind both Dexter’s Half Dozen and 7 Shades – and to the right is Jamie Lambert, writer for Dexter’s Half Dozen. 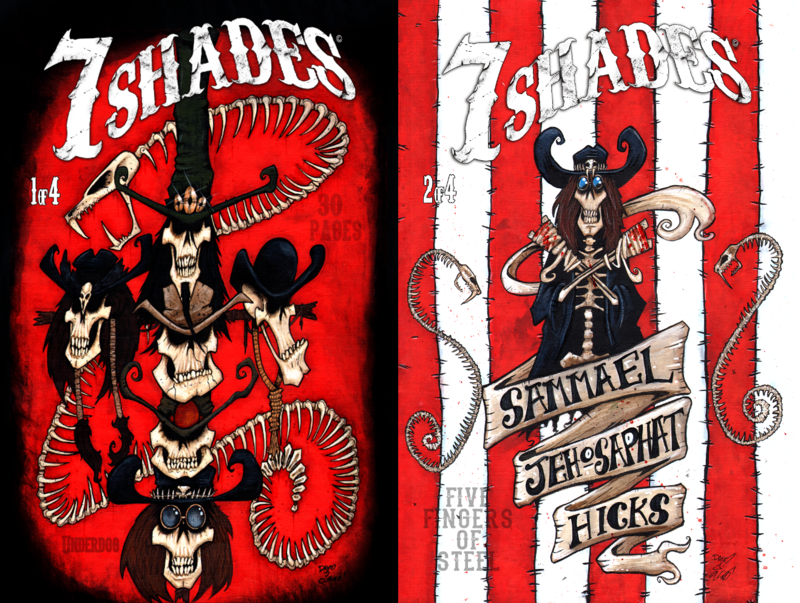 When we were approached with the concept for 7 Shades we were immediately intrigued. It was described to us as a supernatural western, and having already seen the art for Dexter’s Half Dozen we were sure that David could do the theme justice. And he has. The story revolves around events occurring in the mysterious town of 7 Shades. 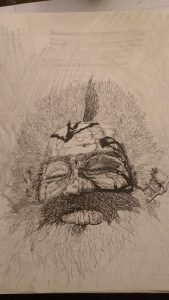 The man you see being rudely awakened in the page above is our protagonist, Sammael Jehosephat Hicks, and he – with the rest of his family are on a quest to save his sister. Sammael is a pretty unreliable individual and to put your faith in him for something crucial is probably a bad idea. To say much more would spoil a story that ought to be read – and you can start that journey here! Below are the covers for issue 1 and 2. The series will be released in arcs and the concluding part of this arc will be released September 2018. 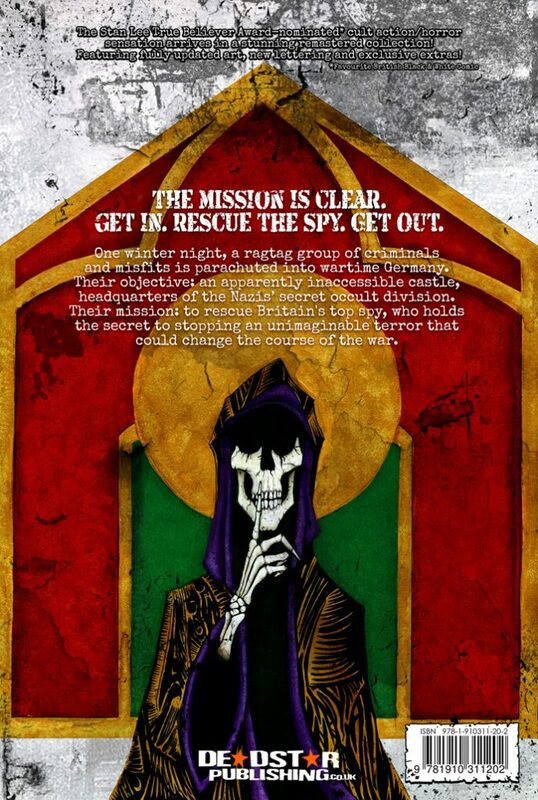 One of the things that Peter and David are keen to do is to have a Q&A page in each issue starting from issue 3. If you’ve got a question you’d like them to answer, you can email us or contact them through their own website. It didn’t always look this polished though. At first, we had an internal planning session where we tried to decide on the character and composition of the piece, as well as considering artists whose work might complement the style we were looking for. In the end we went with John Johnston. This was the initial sketch from which the cover emerged. The image we selected was one of a bloodied face to represent the harshness of the world. We hadn’t finished going through submissions at that point, but already knew there were going to be multiple stories featuring different characters in each so we wanted something that didn’t directly reference any one story but instead gave an idea about the world. We tried various colour permutations (two of which are below) as well as adding a crossed pair of weapons over or behind the face. After considering our options we chose a blood-red background and from there we were able to start looking at title design options. 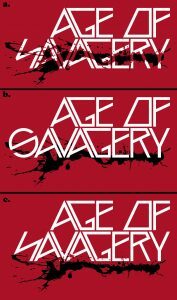 We’ve found in the past that having a logo for the title allows us to use it in multiple ways (posters, advertising, different editions)… but what kind of logo did we want for Age of Savagery? David Powell, who came up with the original concept, had rejected an initial mock-up that riffed off the likes of One Million Years B.C. (1966) in favour of something a bit sleeker. A and C were rejected on readability grounds. C was better but we thought it didn’t really keep with the savage nature of the theme – it was too futuristic. D was a marked improvement over the first three – it was far easier to read and had some interesting shapes to it, but it still didn’t feel right to us. E was an attempt to change direction and bring some different influences in. We generally liked it, but agreed within the team that it was a little plain. Eventually, we came to G. With this, we think we hit the mark. It’s bold, eye-catching, and keeps the theme we were aiming for: an idea that something noble and elegant still exists but which is now besmirched by violence. A few minor changes to the cover image (like highlighting the face so it didn’t seem so flat) and the front cover was finished! Quickly, we discounted D as being uninteresting – the muted colour drained the energy out of the colour. C was similarly discounted for looking miserable. We ditched A because we felt that it took things too far in the other direction, looking too cheerful a place… but the tone of B was just right for what we were looking for. You can also see the advantage of having a logo that can be modified in size/positioning for a title as that allowed us to highlight the title on the back page. With the addition of our logo and barcode, the back cover was complete. We were pleased at the contrast between front and back cover and how overall the images tied together. Hopefully, you agree that it’s a cool looking cover and this breakdown has given you an insight into how our covers come to be. 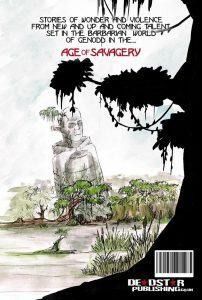 Age of Savagery is available now through our webstore – or you can pick it up at conventions, and it will be available on request from all good book and comic stores. I don’t think it can be denied that life is expensive – every year costs go up a little bit for this, or that, or something else. For us, unfortunately, it’s time to do the same. After 8 years in business we’re introducing our first price rise. 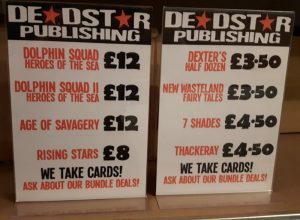 When Deadstar first started in 2010 we set our prices based on what we felt was fair based on what we’d seen on the market and what we felt comfortable spending to build our own collections, so our graphic novels were set at around £10, and our single issues of comics were either £3.75 if they were in colour, or £3.00 in black and white. 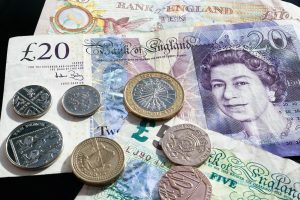 Over the past few months though it’s become apparent that we can’t sustain those prices in face of rising costs – so from May 1st 2018 we will be raising prices on some of our products. 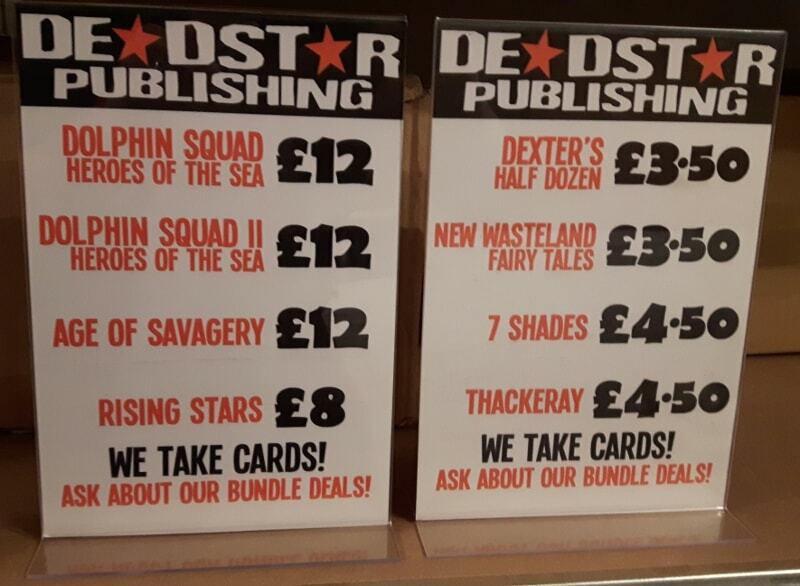 An example of that is Dolphin Squad II (oops… spoilers) which will retail for £11.99 instead of the £9.99 price that we released the first book for. Likewise, our colour comics will rise from £3.75 to £4.50 and our black and white comics will go from £3.00 to £3.50 each. Why are we telling you about this price rise now? With our prices having stayed the same for eight years we felt our loyal customers deserved to know in advance to give you the best possible opportunity to buy any last items missing from your collection at the old price. 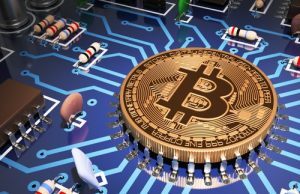 We selected the new prices based on the same criteria we looked at in 2010: what other people in the community are charging, and what we’re happy to spend on similar products. We hope that despite this price rise you’ll feel our titles are still good value for money. Is there anything that won’t be affected? As things stand, we aren’t looking to increase the cost of our ebooks. Some publishers price their ebooks at the same rate as their physical releases on the basis that the same amount of work went into their production… while we feel that’s true, there’s no stock costs associated with ebooks. Once they exist, they will always be there and there’s no need to manage print costs, postage, table hire and travel to sell them… so we prefer to keep our ebook prices as low as possible. If our rising costs have put you off buying a physical book or comic from us, at least take solace from the thought that, comparatively, it will now be cheaper than ever to start that ebook collection! Hopefully, we won’t have to make another announcement like this until 2026! Yesterday marked the debut of our brand new website. This is the third complete iteration of our site – and hopefully the best so far. We originally decided back in 2015 that our old site, which we’d built in-house in 2011 first as a collection of static HTML pages then in 2013 rewrote into a semi-modular php template system, wasn’t up to scratch anymore. 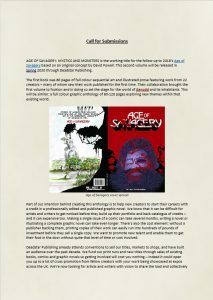 At the time, we’d looked to outsource the design and implementation of the site so that we could focus on what we do best: publishing great books and comics. Alas, it wasn’t to be, and by the end of 2016 we’d decided to bring development in-house again. As it was a task that would require quite a bit of time for us to complete we put it on the back burner until August this year when we were able to lock in many of the features and design choices that we wanted to implement. Above, you can see our old design… and it’s one that we really liked at the time. It had a lot of issues though – firstly, the homepage was information about us… which is great… but from looking at our site analytics we found that most people who entered the site via the homepage would read it then leave. However, if they entered the site from our Submissions page or our Store then they were much more likely to either contact us, or buy something from us. 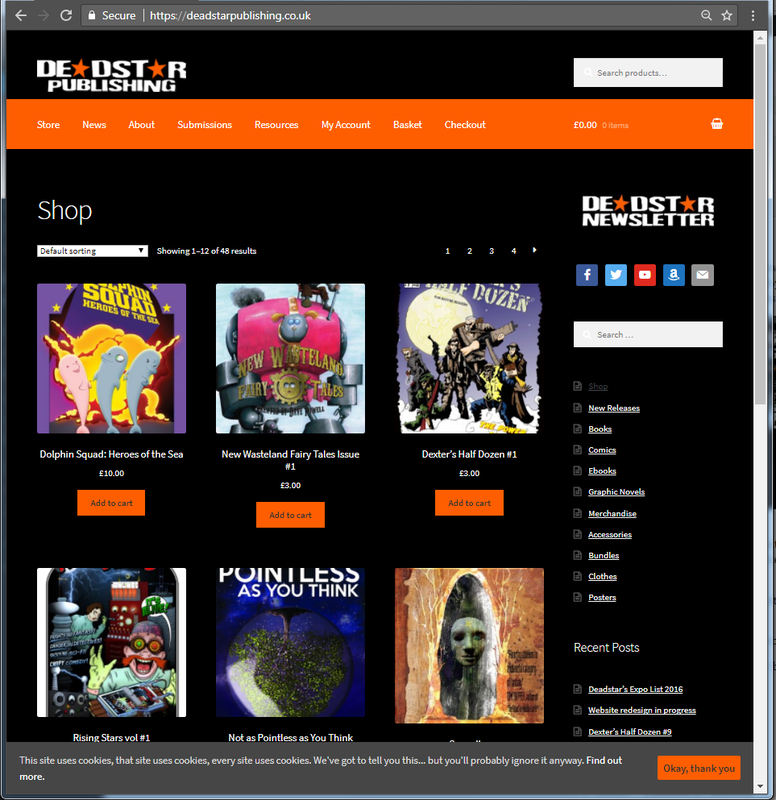 With that in mind, we’ve changed the homepage into the store so that more people can see our products. Another issue we had was that there were too many options for pages within the site… and a lot of the pages either contained duplicate information… or it was out of date. On the top menu alone there were 9 options to choose from (and there were buttons on the left and right of the screen as well as a second menu at the bottom of the screen. Far too many options!). 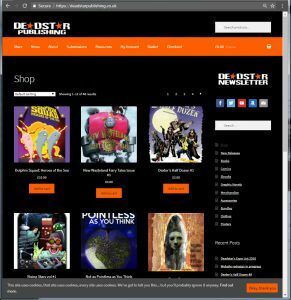 We’ve now reduced that to 5 (plus your account, basket and checkout buttons) which means the site is easier to navigate. On top of that, when the old site was written, phones and tablets were used far less for internet browsing so we never really optimised our site for mobile web users. That has changed and our site is now responsive based on your connection and screen size. We’ve also taken the opportunity to update our logo. Danny did a fantastic job when he designed the Deadstar Publishing nameplate in 2010… but over time we’ve begun to see its limitations – the transparent eroded and damaged letters don’t always hold up well against different colours so we came up with the slightly simplified two-tone version that we’re using across all of our titles from now on. It hasn’t been the smoothest of moves though – originally we had planned to make the new site live on Tuesday 19th September… and when we started the process of migrating data from our test server… something went wrong. Fortunately, we have some very good, clever and nice friends, and Mark Chatterley, the big cheese behind In Ear Entertainment (who incidentally produced and sell our audiobook for Not as Pointless as You Think) was able to help us recover and ensure our work over the past few months didn’t go to waste. Now that our new site is up and running, there’s still a bit of tinkering to do… but for now, happy browsing!